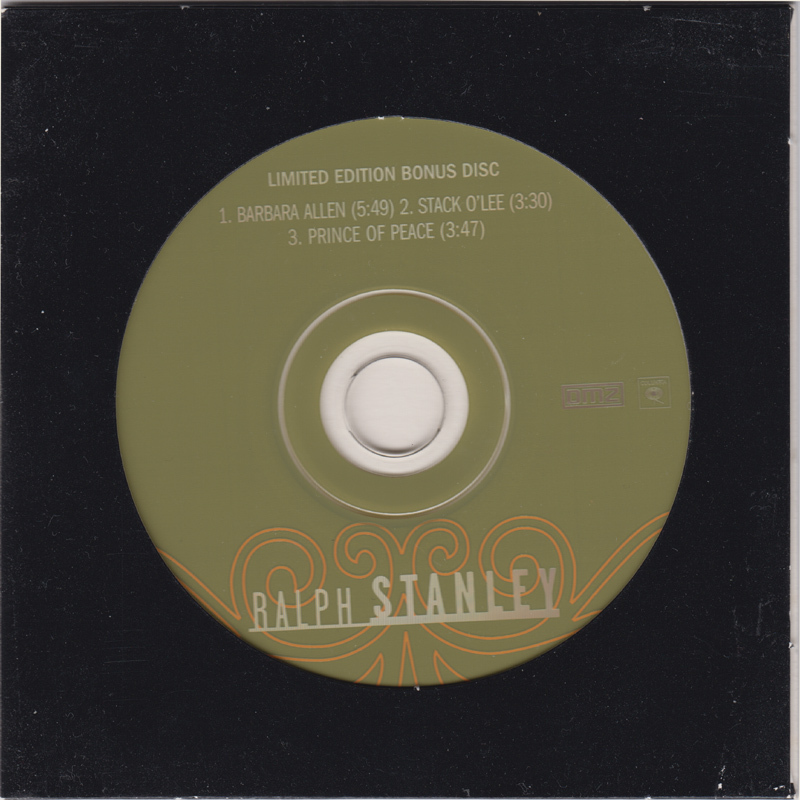 This 'limited edition bonus disc' contains three tracks recorded in the sessions for Ralph's 2002 DMZ/Columbia Ralph Stanley album. 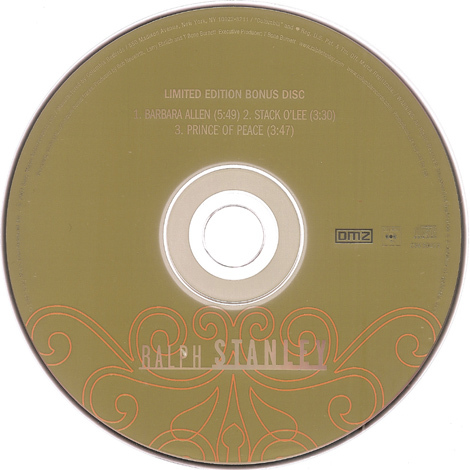 None have been released elsewhere, although Ralph did later re-record Prince Of Peace with the CMB's on A Mother's Prayer. The CD comes in a black card sleeve, with a cut-out in the front. I've no idea whether the disc was given away as a promotional item, or as a bonus disc. Copies crop up occasionally on ebay and the like, but I've only ever seen them offered for sale by themselves.